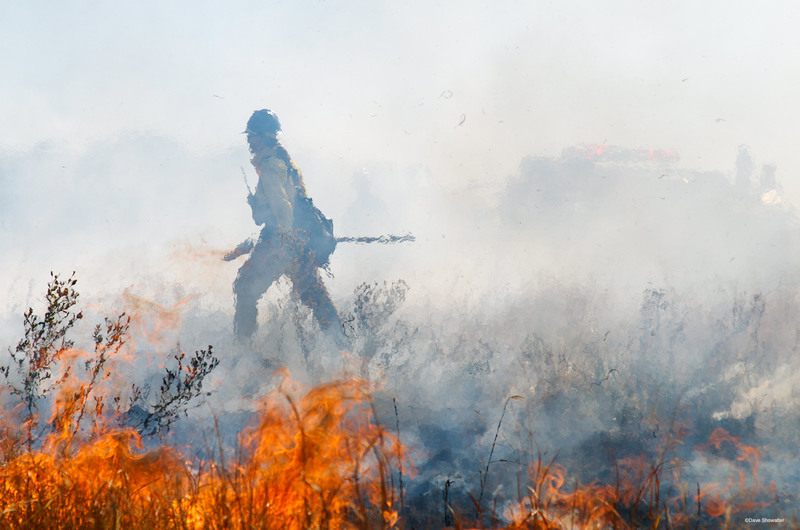 Controlled burns are an important habitat management tool on the shortgrass prairie. On an autumn day, with invasive crested wheat grass standing tall, the prairie is ignited to burn off invasive species in preparation for planting of native grasses that will emerge in spring. Photo © copyright by Dave Showalter.